Beams of morning sun stream through the cheery windows as you stir the pancake batter. Silly giggles fill the kitchen as you attempt to flip a flapjack in the air. Fixing breakfast for your children is a fine way to start your Saturday! A family-friendly kitchen is often at the top of a house hunting wish list. With room enough to cook with ease, it’s a pleasure to pass plates to those lined up at the breakfast bar or gathered around your table. 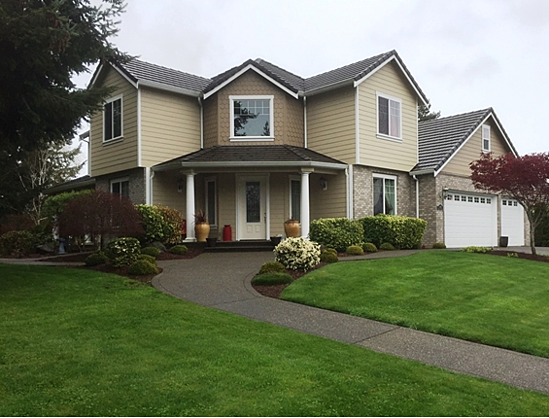 If you’re anticipating a military move to Joint Base Lewis-McChord, WA (JBLM), take a peek at a several splendid homes listed on MilitaryByOwner. Imagine collecting the whole tribe and cooking up family favorite recipes in these chef inspired kitchens! With orders in hand for your new assignment, you and your military family can begin your search for good schools and fun things to do in your new area. 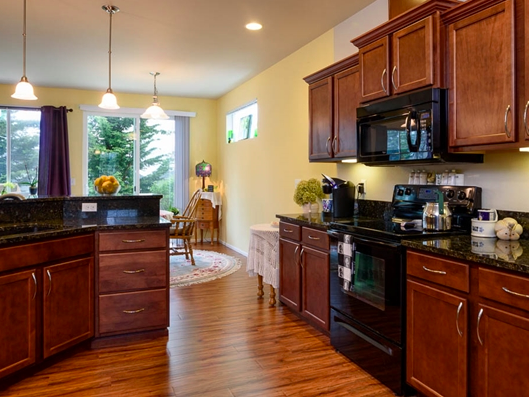 Around 22 miles from JBLM, this over 3,300-square-foot home might be just what you’ve been looking for. Getting the kids off to school would be a breeze since this four-bedroom, three-and-a-half-bath dwelling is right down the way from Horizons Elementary. From meeting with the Scouts to rallying the soccer team, all your children’s friends will flock to your welcoming home. Keep them fed and watered in this sizable space. 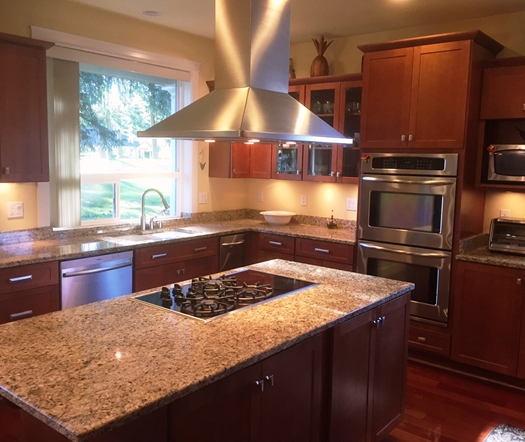 The sleek stainless and glossy granite upgrades will please the cook and all who gather around this grand kitchen. Have you ever thought of living in a golf course community? 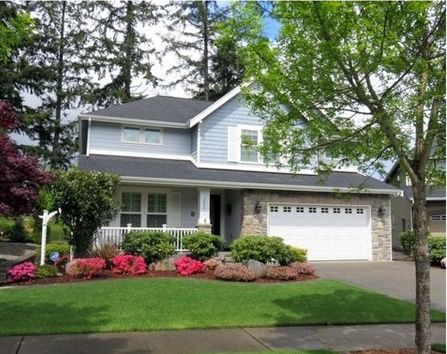 If so, follow the fairway 15 miles from JBLM to this remarkable residence. 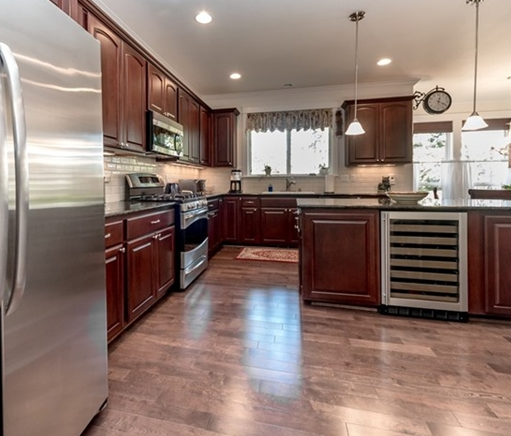 Tucked in the tall timbers of old growth forest, you’ll find this Woodlands golf course home. You’ll feel like you’ve hit a hole in one with this three-bedroom, two-and-a-half-bath retreat in the midst of Hawks Prairie golf club. Beautiful birch wood floors flow from the open kitchen throughout the breezy layout of this chateau. When hosting an affair for friends and neighbors, serve your favorite vintage vino from your in-island wine cellar. With custom touches and builder upgrades, this marvelous manor will have you feeling like you’ve paired with golf champion Danny Willet to win the Masters! Need to run a few errands with your morning commute? 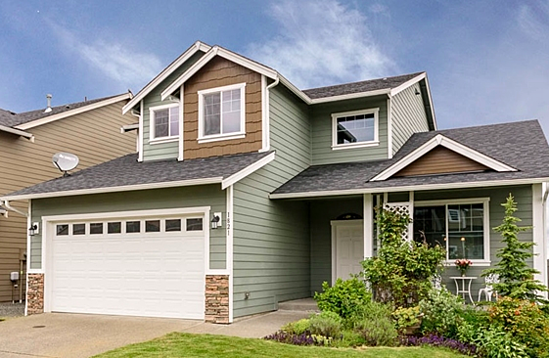 It’s easy to complete your “to do” list from this Spanaway address since it’s only ten miles or so from JBLM. Spending less time on the road means more time after work to enjoy the comfortable layout of this 2,400-square-foot estate. This conveniently located four-bedroom, three-and-a-half-bath manor might be the perfect fit for your growing military family. Striking black onyx counters top custom cherry wood cabinetry in this open and accessible kitchen. Prep meals from the premium peninsula while keeping tabs on your little ones at play in the adjoining hearth room. Windows welcome natural light as you gather around the table in this alluring abode. When househunting in the Pacific Northwest, take a look at the numerous other homes for sale or rent near JBLM on MilitaryByOwner.